A while ago we talked about the Himedia Q30 Mini PC and covered the Q30 unboxing, which revealed a good-looking device meant not as a competitor (or replacement) to the excellent Q5 Pro or the Q30 . 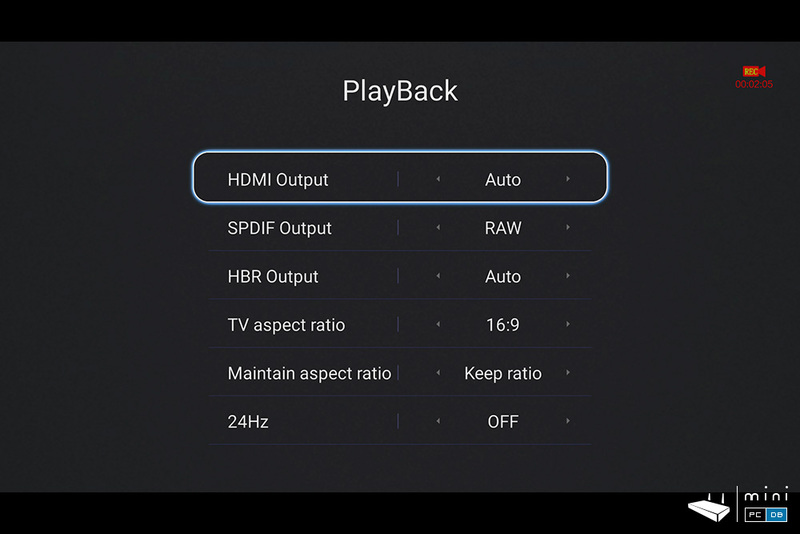 Instead, the new Himedia Q30 is meant to attract other audiences - particularly those who have simpler needs (and lower budgets)- with similar playback capabilities, less connection options and a better price. In our review we'll see if the new device is capable enough to win a place for itself on the market. I mentioned that the Q30 is meant for people with simpler needs, so it makes sense that you can go from unboxing to watching a movie in less than a minute, that's how easy to setup is the Q30. 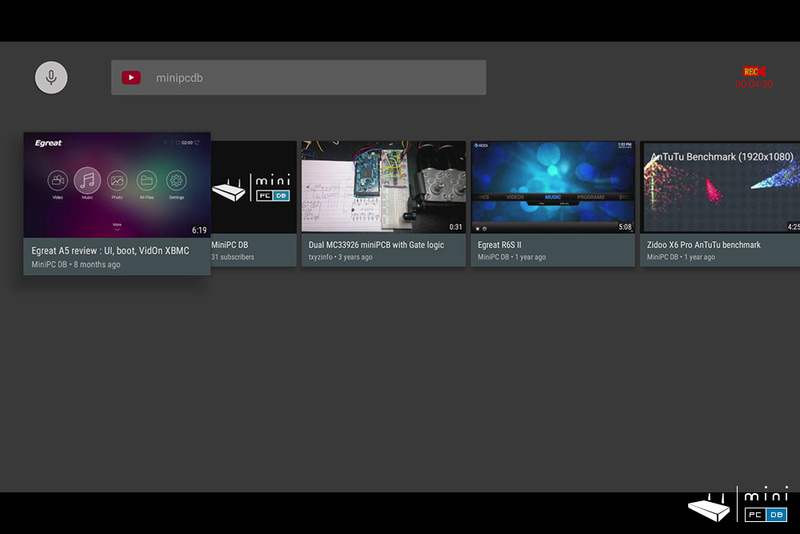 Same as with the Q10 Pro, the main menu is using the classic tiles, with Kodi,Youtube and Himedia Media Center taking a sizable portion of the screen. Skype and Facebook have their own place, as does the Chrome browser, and you can customize the look of the home screen by adding your own apps on two areas of the screen: the bottom-left region and the right column. One other thing I noticed: the Q30 comes with more preinstalled apps than Q10 Pro had at the time of the review, but most are useful and not bloatware. For instance, Netflix is preinstalled - and it's a different version than the one from Google Play, which doesn't seem to work. By the time the device arrived at my doorstep there was already a new firmware available on Himedia's CDN, which the player automatically detected and then downloaded and installed with a breeze. Himedia is one of the few TV box manufacturers that provide regular updates for their devices, a big difference from the "budget" devices from other manufacturers. The firmware can also be installed manually, by simply downloading the firmware from Himedia's own website, and launching the update by yourself. Himedia also kept the "reset" button that was a constant on the old Realtek 1185 media players, which now can be used to reflash a firmware while performing a full reset for the device. The device comes with the same "standard" IR remote with several buttons dedicated for the IR learning function, which is nice and all, but nowadays I find much easier to use an airmouse with a qwerty keyboard. In fact, after setting the device up I found no need to use the IR remote at all. You can turn the device on with the front button and then use one of the other means to control the device. 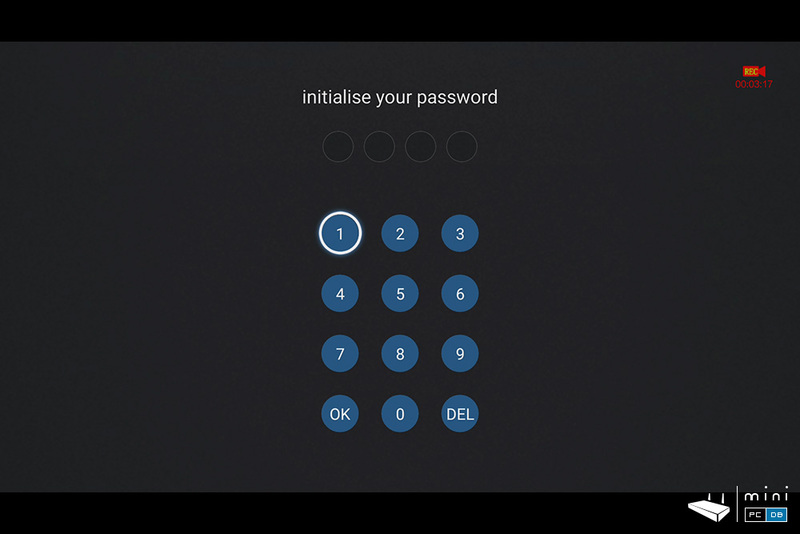 But it's worth noting that you can use the digit keys (1-9) to launch your preferred apps, and that the IR remote can be programmed to turn your TV on/off and it even has a rudimentary mouse function. Of course, there are many other airmice and even remote control apps that are compatible with the Himedia Q30 device, so you can use what you like. 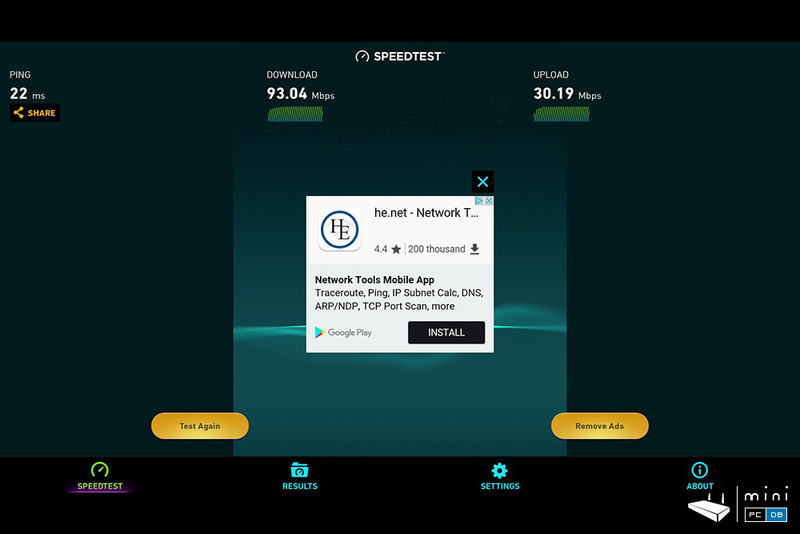 Personally I was impressed with HiControl when I first test it - years ago, and to date Himedia's app is still one of the best remote control apps on the market. With HiControl you can control your Q30 device using your smartphone, while seeing (and hearing) what's currently running, start apps remotely - or even use the phone's gyro sensor to play games on the big screen - start the game on the Q30, connect to the Mini PC using HiControl and enjoy. 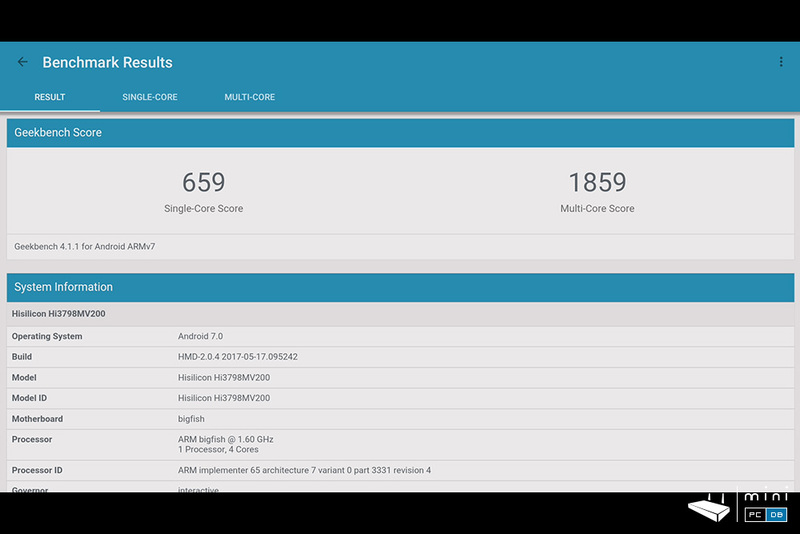 Although the benchmarks results for Himedia Q30 were good, I still feel they don't reflect the device capabilities - I got similar results for less powerful devices - so I just leave the results here (and the screenshots) for those of you that really want to see how the mini pc performs on the tests. When we talk about audio/video playback we have to mention Kodi these days, as it has insinuated itself as "de facto" player for all things on pretty much all devices launched on the past 2-3 years. 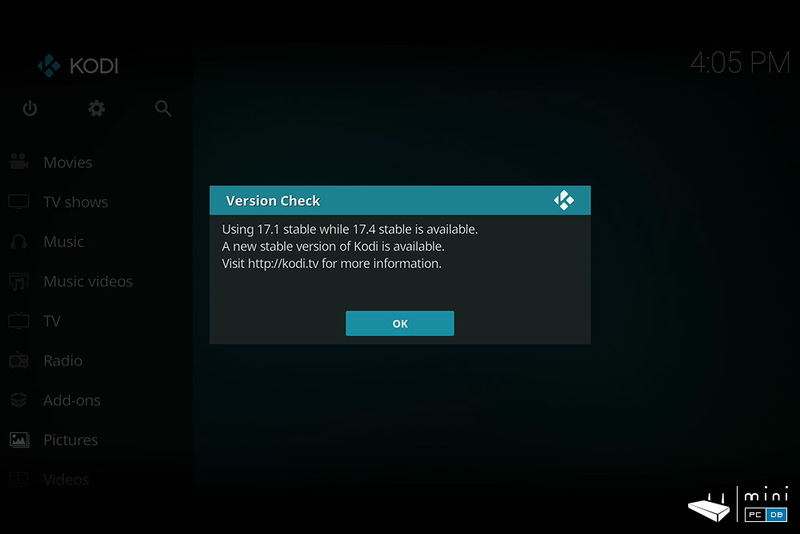 Himedia Q30 comes with Kodi 17.1, but you can simply update it to 17.4 from Google Play. 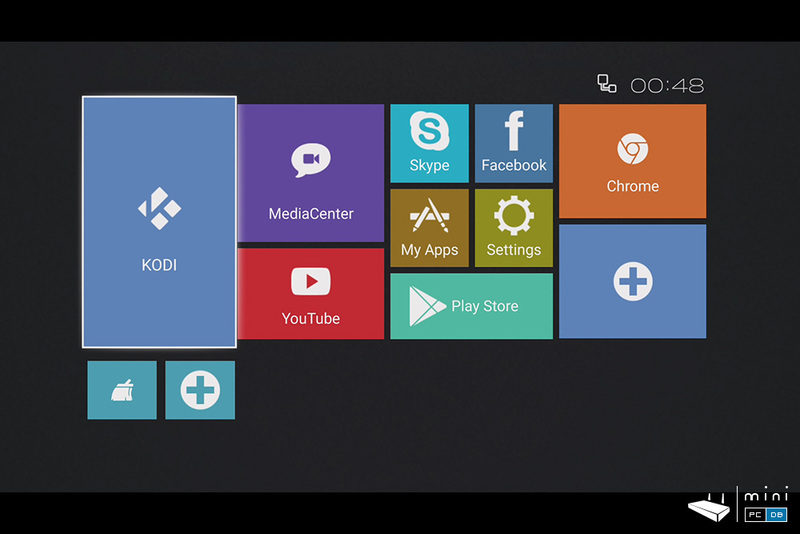 The Kodi wrapper is one of the preinstalled apps. If you connect an external HDD with movies/TV series you'll be able to enjoy the movie posters function, which is a nice touch - albeit a "must-have" for a real media center, not many devices has it. For some high bitrate functions, you might want to use faster mediums : the device played 4K files (at 24p) perfectly, but from an USB 3.0 HDD. If you encounter stuttering when you play a file via wi-fi, 99% this is the source of the problem. Speaking about that, it all my test files played perfectly on the Q30, exactly the way I remember them from the Q10 Plus review. 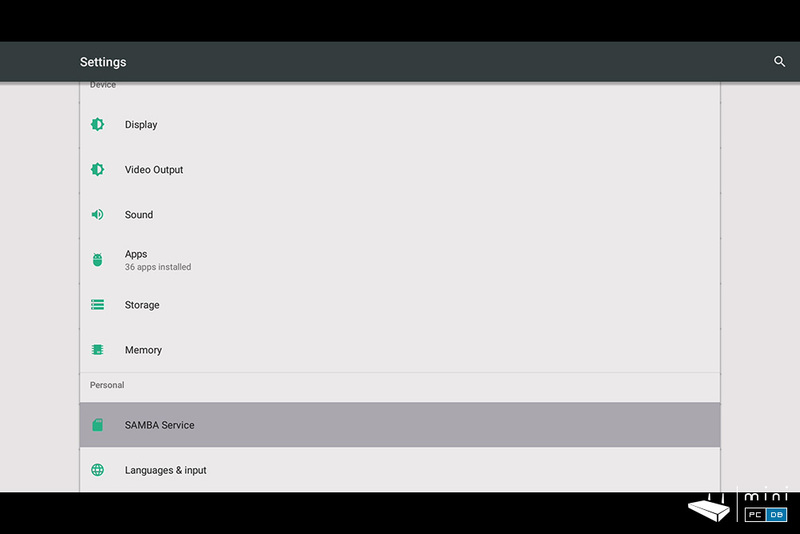 One of the simple, but very useful functions found on the Q30 is the Samba service. 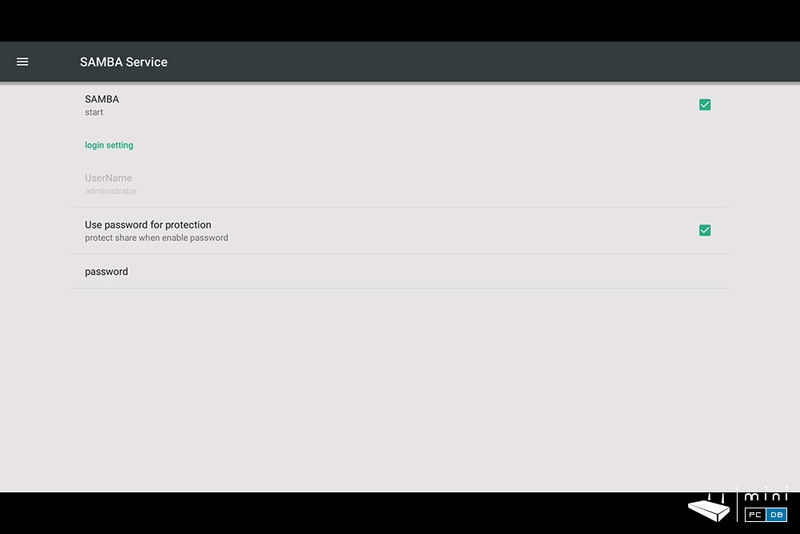 After enabling it, which can be done from the Android settings (as pictured below), you can just type \\Q30_IP (the actual IP) in Windows Explorer and you can access the files from your Mini PC. 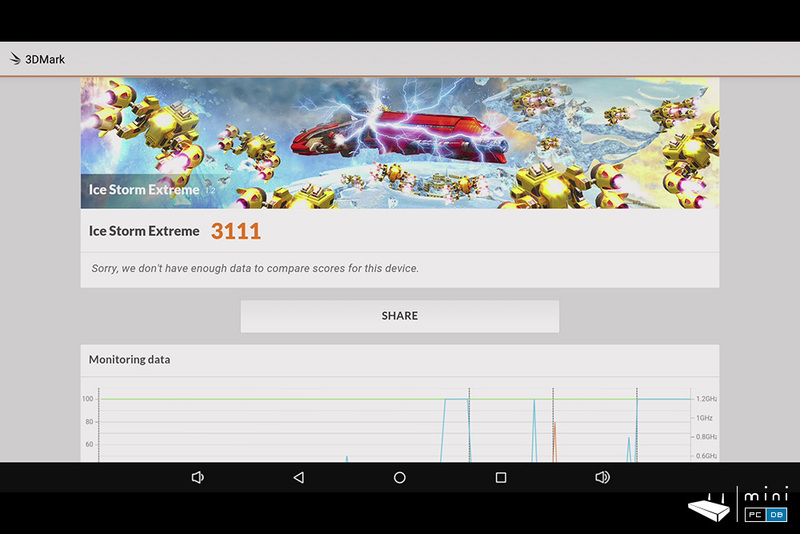 Q30 also shines when it comes to casting and sharing content from the other devices on the network. 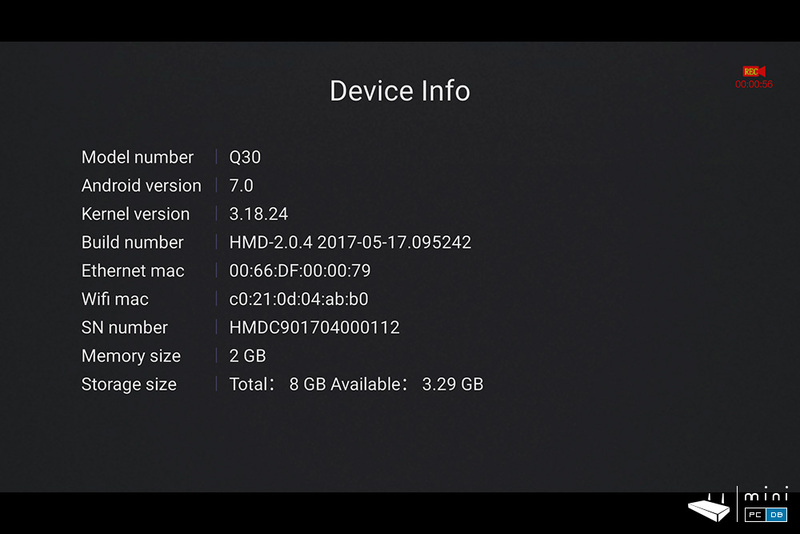 Q30 is, as Q10 Pro, a Miracast receiver out of the box. 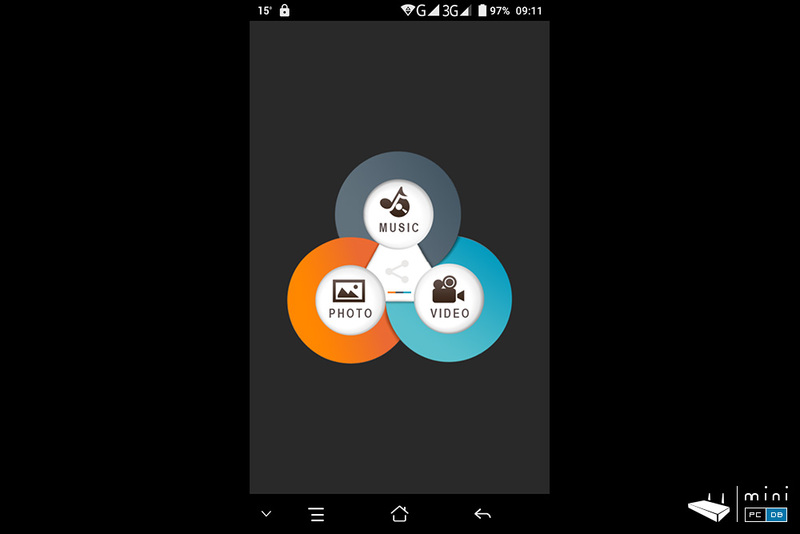 There are several preinstalled apps that do just that, and you can also use the Himedia-made HiShare app for this purpose. 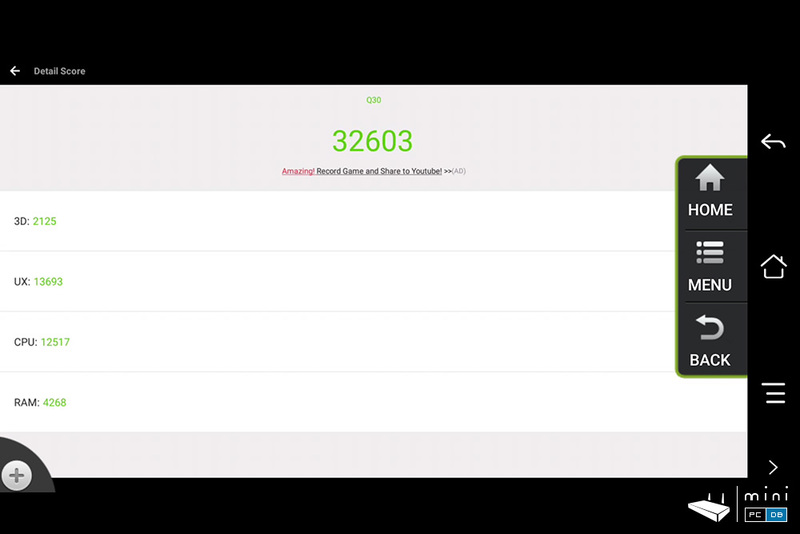 You can send the photos, songs or video from the tablet/phone to the big screen in a breeze, very intuitive and easy to use. 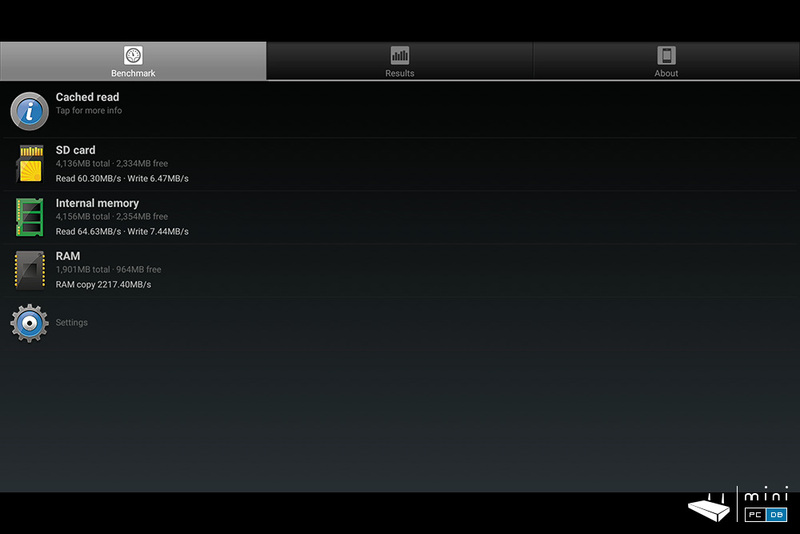 But then again, you might not need to install the Himedia app at all, as most phones can do this out of the box. 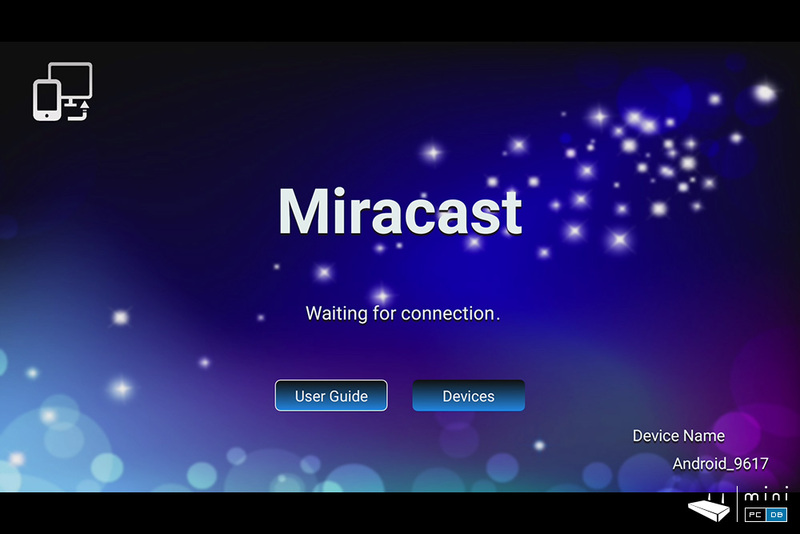 Windows users aren't left out either - you can send content from your PC to the big screen with a right click, then "Cast to device" and choose the "TV Box - Himedia" -it's as simple as that! This is clearly not meant to be a gaming machine, but it handles well the simple games I've tested and the HiControl app is clearly a big plus, as you can simply repurpose your old smartphone to use it as a gamepad with "swipe", "touch", and "tilt". 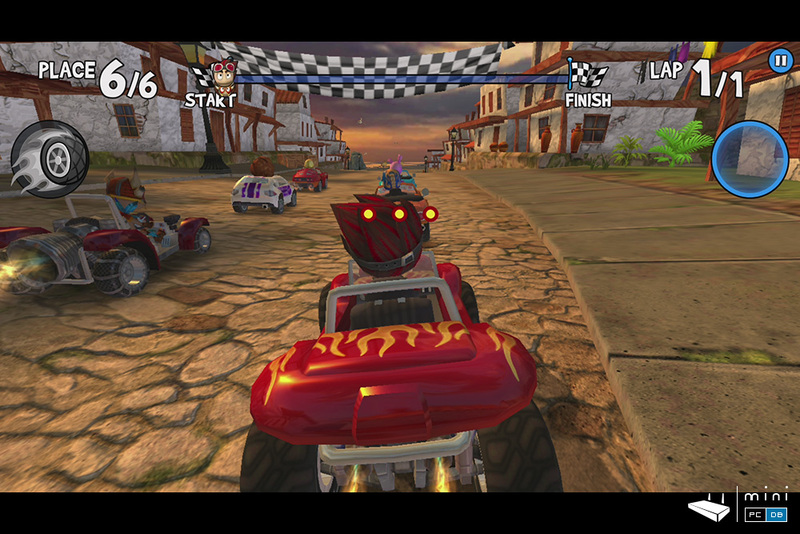 If you remember to watch the TV and not the screen on the smartphone (which has a small lag) - for instance, Beach Buggy Racing is quite enjoyable on the big screen! 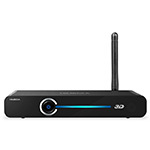 Q30 is showing the same hardware and software quality I expected from an established media player manufacturer like Himedia; while the connection options are limited when compared to it's bigger brother Q10 Pro, the device does a good job in it's price range (OK, after applying the coupon mentioned below). If the missing Bluetooth and 7.1 output is not a problem for you, the Q30 comes highly recommended as an up-to-date media player - can play pretty much everything, from all sources - HDD, phone, internet - you name it, Q30 can do it all. 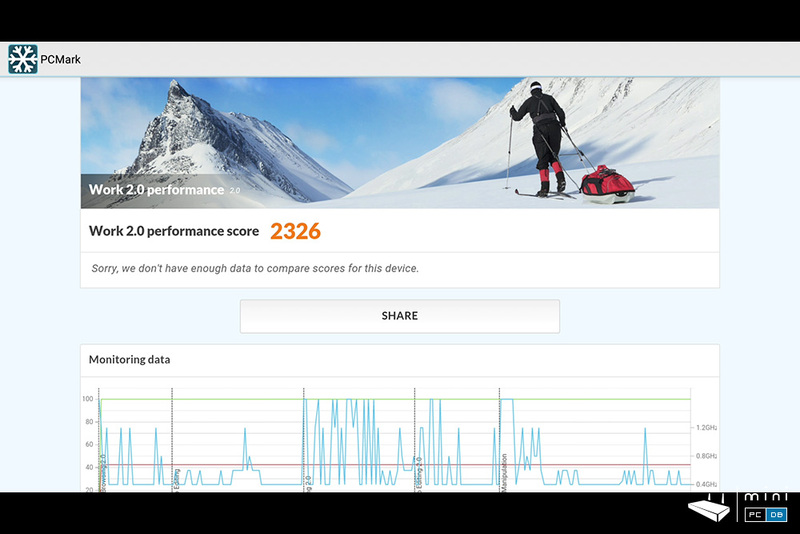 The HiSilicon devices are known to have a better image quality than most other devices on the market, and Q30 is not an exception. In short, this device comes highly recommended as a media player, but will do OK as a general purpose Android TV box as well. Himedia Q30 is available on GearBest for $139, but you can use the coupon code GBCNA to get a better deal.